Oracle offers its customers a wide range of applications for digitizing business processes. This makes companies faster, more innovative and more economical. The measures generally affect all areas of a company, from development and production, through sales and procurement, to delivery and services for end customers. It is important to look at the entire value chain of a company and to promote digitalization as a whole where possible – both in the manufacturing industry and in the retail sector. Purchasing and sales activities can be controlled seamlessly from Oracle ERP systems by automating all ordering, delivery and invoicing processes with business partners through EDI integration. 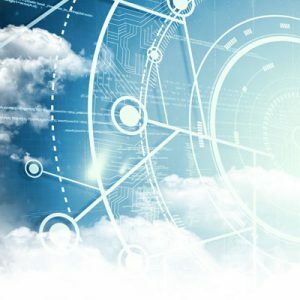 Oracle ERP systems can also be connected to production, scheduling, and order picking systems to automate, shorten, and streamline time-critical delivery processes. For typical Omnichannel requirements in the retail sector, companies rely on specially designed Oracle retail systems. These applications support merchandising, Omnichannel, Planning and Supply Chain. They enable innovative retailers to adapt to dynamic market changes, simplify workflows and convey inspiring customer experiences across all channels. Oracle systems in these sectors require successful synchronization with internal CRM, web shop and Oracle ERP systems as well as reaching beyond the company edge to access other marketplaces and logistics partners for successful Omnichannel sales. The challenge is to manage the interaction of these applications that are based upon complex internal and external processes in order to facilitate automatic collaboration. 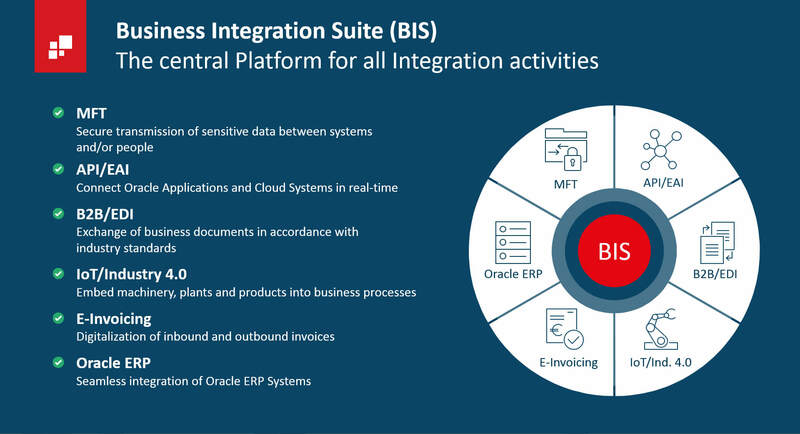 The way to address this challenge is by utilizing a central integration platform, such as the SEEBURGER Business Integration Suite (BIS) for Oracle. It is the solution that can fulfil requirements arising from digitalization initiatives. It provides rapid implementation by way of standardized templated modules, which can be easily configured to achieve fast and efficient integration of all systems involved. SEEBURGER customers use various Oracle systems that are integrated via SEEBURGER BIS. You too can benefit from SEEBURGER’s experience from a large number of integration projects in the Oracle environment. Holistic electronic processing of procurement data including management and control of associated distribution, fulfillment and booking with a large U.S. electronics retailer Connection of thousands of suppliers via SEEBURGER BIS by EDI and WebEDI with integration into Oracle ERP. Additional integration of an Oracle Retail Merchandising System via SEEBURGER Business Integration Suite for the smooth execution of daily merchandising activities including: purchasing, sales and order processing. Furthermore, an Oracle Retail Invoice Matching System via SEEBURGER EAI WebServices was integrated for automated reconciliation of supplier invoices. This allows the management of reconciliation, synchronization and payment of supplier invoices and resolve identified exceptions using official workflows. 3,000 business partners and suppliers with BIS FX accounts for secure Managed File Transfer (MFT) of product master data and content. Optimized purchasing, warehousing and dispatch processing at a European online retailer with a focus on toys The toy retailer pursues an EDI strategy based upon two principles: classic EDI and WebEDI. Both are integrated into the Oracle ERP via SEEBURGER’s BIS. Today, the company processes approx. 10 million EDIFACT order, delivery and invoice items per year, including approx. 4 million via complex cross-docking shipping processes. The retailer benefits from automated processing, thereby improving process quality, minimizing invoice differences and avoiding out-of-stock situations in the warehouse. Manual activities in the document workflow are eliminated and the peak in the pre-Christmas period can be effortlessly managed. Acceleration of the production processes with a Swiss fresh food manufacturer Time-critical production logistics between ordering, production and delivery of fresh goods through integration of real-time disposition and picking processes in Oracle JD Edwards EnterpriseOne. Optimization of the marketing, sales and HR activities of a Japanese electronics and mechanical engineering company Salesforce integration with Oracle JD Edwards for real-time synchronization of critical customer and sales data. Connection of Oracle HR to Oracle ERP JD Edwards for the exchange of staff data. Internal process improvements at a U.S. manufacturer for air conditioning and safety technology Complex integration of more than 20 ERP/Finance systems (SAP, Oracle, Netsuite, Sage 500, MS Dynamics, Siteline infor, Max, ASI, Everest, Manhatten Scale etc.). Oracle Workday integration for secure HR data exchange. Simplified management of all transport activities around the plastic glass and chemical products of a manufacturer in the automotive and aviation industry EDI integration of various logistics providers into OTM (Oracle Transport Management) for outbound delivery processing. This reduces freight costs, optimizes the service level and automates processes so that logistics operations can be handled more efficiently. Use of modern cloud services for digitized sales processes between a manufacturer of packaging materials and food packaging and its customers Use of SEEBURGER B2B Managed Services with Oracle ERP integration. we explained how Oracle users can succeed in digitizing along the entire value chain across companies. Patrizia Sauer has been Business Development Manager at SEEBURGER AG for CPG/Retail for four years now. She focuses mainly on e-commerce solutions, customer and partner support in this environment, and innovations for the digitalization of functional and technical business processes. 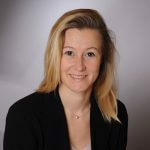 Ms. Sauer is a manager of industrial engineering specializing in online sales & marketing, and has multiple years of professional experience in the software industry and digital trade, having worked for seven years prior thereto at Amazon EU.